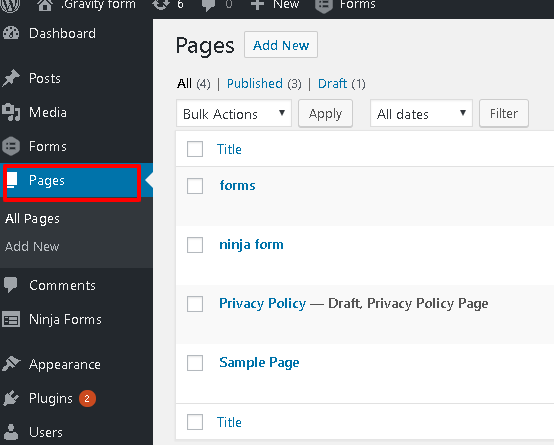 Ninja Forms has 1+ million active installs in the official WordPress plugin repository. It has an easy to use drag and drop form builder with which you can create complex forms within minutes. The main advantage it has over WPForms is that it doesn’t restrict the type of fields that are available in its free version. 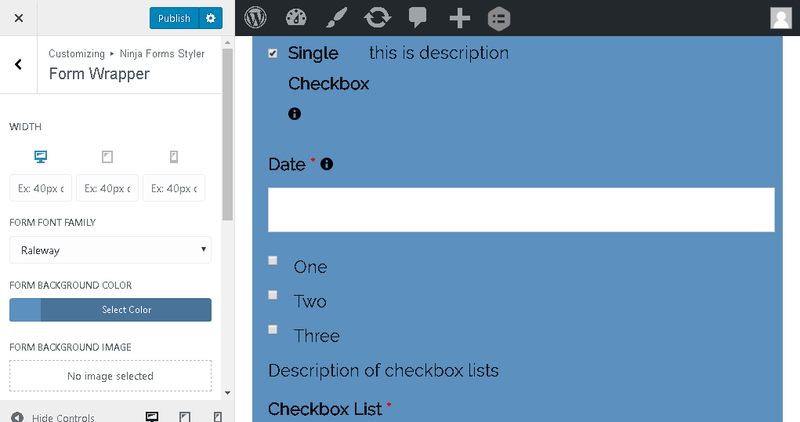 If you are using WPForms then you can make Styler for WPForms to design your forms. 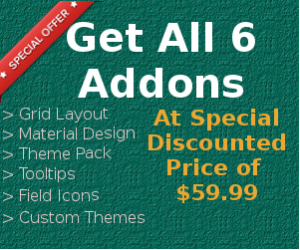 There are 40+ official and 100+ 3rd party free and paid addons available to further extend the functionality. All the above features do make Ninja Forms one of the best free plugin to create forms but it doesn’t come with an inbuilt form styler. If you have knowledge about CSS then you can customize the design of form with custom coding. If you want an easy to use free solution that doesn’t require any CSS coding for styling Ninja Forms then Styler for Ninja Forms is the best choice. It lets you design your forms with easy to use controls like color pickers, responsive design options etc. All the design settings are separated by sections so it is easy to design every part of the form. 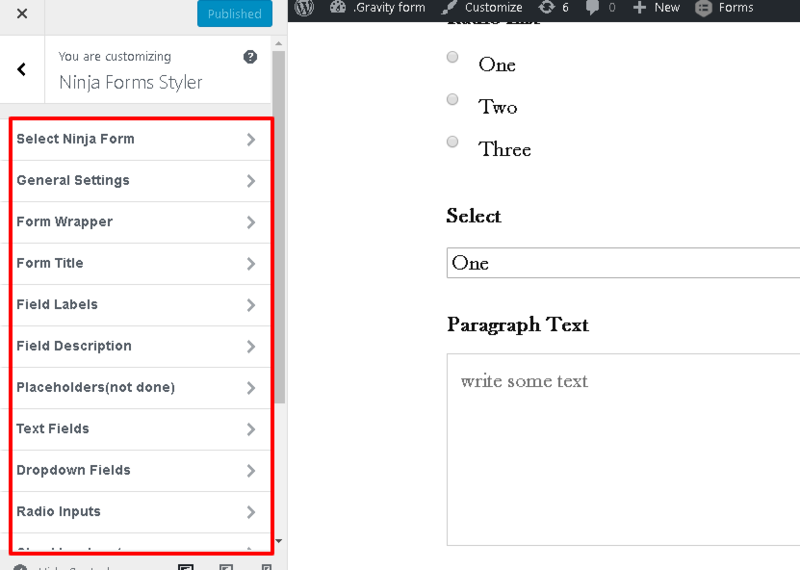 Style Form Wrapper, Form Title, Labels, Description, Text Fields, Dropdowns, Radio, Checkboxes, Paragraph Textareas, Confirmation message, error message and submit button. Easy to use controls and different units like px, %, em, and rem are supported as values. Live preview of all the design changes. Responsive design options for desktop, tablets and mobile devices. 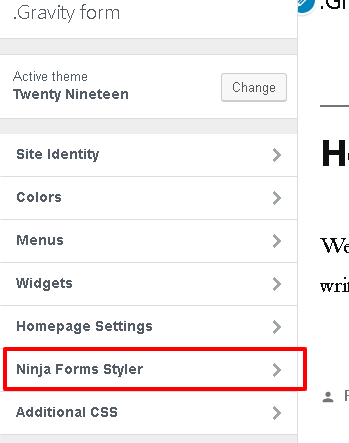 From WordPress dashboard navigate to Plugins -> Add New and then search for ‘Styler for Ninja Forms’. You can also download the plugin as .zip file from here and then upload it to your website’s plugin directory using FTP softwares like Filezilla. Once you have the plugin installed and activated then open the page in which you have the Ninja Form. 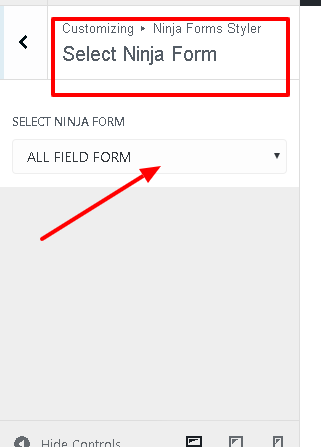 Now open customizer and then click on Ninja Forms Styler section. Select the form you want to design and now all the design settings will appear in customizer sidebar. Open each section and then design the form as you want. The good thing about this is that all the changes will be live previewed which makes it easy to design the form. There are also options to give different font size, width for devices like desktop, tablets and mobiles. You can quickly switch between these device views to preview how the form looks there. After you have created the design that complements your website then click on the ‘Publish’ button. This how easy it is to style Ninja Forms and it didn’t require you to do any CSS coding. If you need any help in customizing your forms or want to create some custom functionality then feel free to leave a comment below or send us a message using the contact us page.